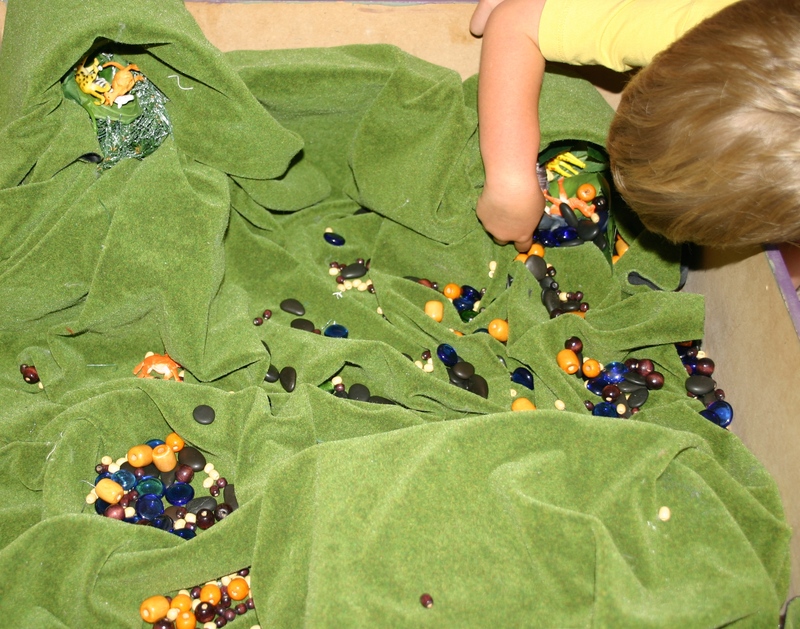 Our latest sensory bin is an animal habitat. This time I had our 3 youngest help me set it up and decide what we should add to it. 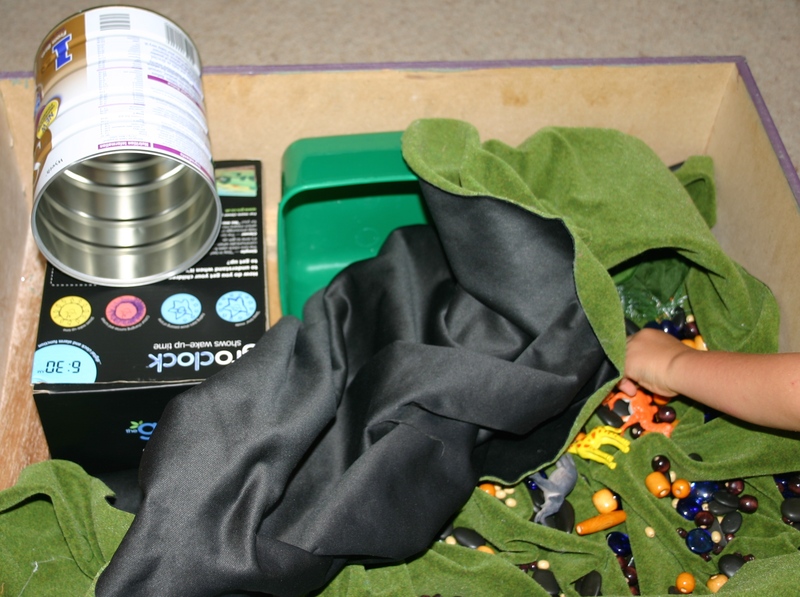 We started with a bunch of tins and boxes for caves and hills and draped a green cloth over the top . 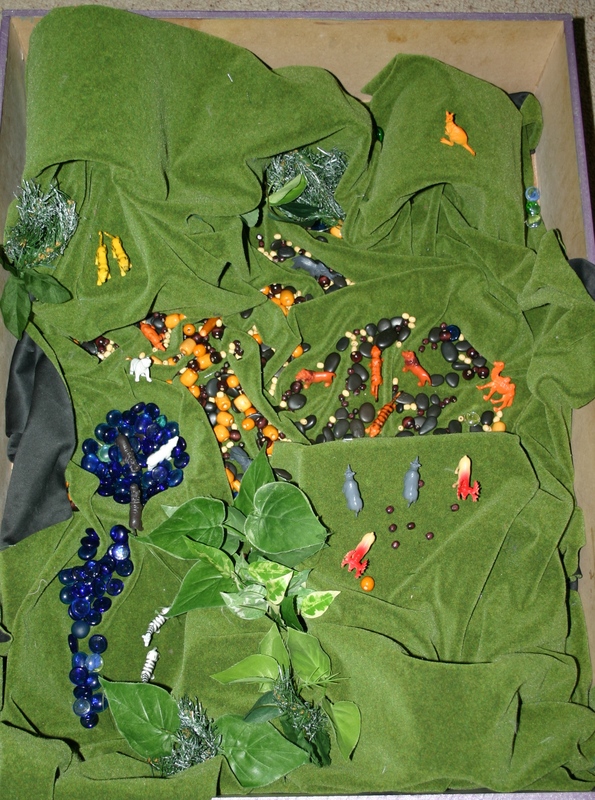 To our basic landscape we added artificial leaves for trees (old Christmas tree branches work well for this), blue jewels for water, black stones and a bunch of assorted wooden beads – and of course the animals. You could easily change this idea to a different environment with a different coloured sheet – white for snow, yellow for desert etc. and add the appropriate animals and accessories.